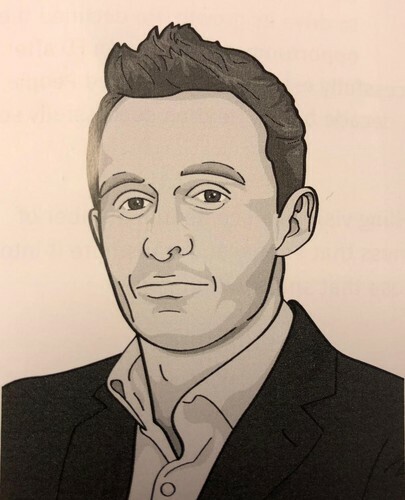 Dean Kelly is CEO at Synarbor PLC, a leading provider of education support and recruitment solutions with a turnover for 2014 of £30m and approximately 100 employees A celebrated recruitment leader, he was voted ‘Business Leader of the Year’ by Recruitment International in 2013. I have left every meeting with him feeling motivated and enriched. His passion is infectious, whether we are discussing matters of political economy or the world of boxing. Today he shares time with political leaders and billionaires. It is a long way from his roots. As Kelly explains. “I grew up in a tough council estate in North London. Although it was a challenging environment at times, being a local amateur boxer and Chelsea FC schoolboy, always gave me a fair bit of favour. I was also fortunate enough to attend the leading boys’ state school in the UK. I loved sport and this exposure to those from a different socio-economic background inculcated a belief that hard work could level the playing field not only in sport but also in life." Kelly initially thought of becoming a surveyor but saw the long-term rewards were insufficiently motivating. He knew his work ethic was Stakhanovite; he just needed the right opportunity. That opportunity presented itself in the form of the recruitment industry. As Kelly says, "The adverts in the press that offered the highest OTE's were always in recruitment. So I applied and eventually joined Computer Futures in 1998." Despite working longer hours than anyone else (“hard work beats talent every time") he struggled for the first six months. This might have been due to his doing manual jobs evenings and weekends to supplement his income! A turning point was a meeting with his MD, the legendary Gary Goldsmith. "I thought I was going to be fired,” he says. “I admitted moonlighting. But Gary believed in me and offered a three month salary guarantee. My results exploded. I was fortunate to be at CF at a special time, learning from some of the best recruiters the industry has ever known." Thereafter Kelly ascended the recruitment ladder at bewildering speed. He moved to Paragon IT and then Dream (now Servoca) where he built its IT and banking/telco division to 40 consultants in 12 months! Having spotted an opportunity within the education sector at Dream, Kelly left and founded Kellis in 2002. He recalls, “Back then the education recruitment market appeared nascent - certainly when compared to IT - and I was happy to disrupt the status-quo quite early in its economic life cycle." Despite just months within education recruitment, Kelly developed Kellis into one of the fastest growing start-ups to exit recruitment groups in the UK. "We secured our first contract having only a handful of teachers on our books- always think big! We eventually won 13 major contracts with schools and authorities within 24 months. We also secured a contract with GEMS, the world’s largest provider of independent education. Its owner is a billionaire who I approached directly after reading about him in the Economist." Kellis was delivering £2.2m EBIT when acquired by Public Recruitment Group for 6.5 times ebit - all within three years of starting up! Kelly reveals," It was quite a journey! Unfortunately within a few weeks PRG issued a 2 year profit warning - we had an earnout period so this was a nasty shock-and the next phase of my business education began!" Within a few months of finishing his earn-out Kelly took over as CEO of the whole group, attracted outside investment to save the business, disposed of failing non-core divisions and de-listed from AIM as the credit crunch hit. Kelly says, “The outstanding work done by my teams at Synarbor has meant that we now have a business delivering great growth year on year and one which is financially very sound." Synabor has gained a superb reputation for its innovative "TeachIn" managed service, and for being the only agency to work with an LEA to manage a school out of ‘special measures’ and present data to show high quality ‘supply teachers’ improve outcomes in schools. Kelly regularly meets Government Education Ministers to share his ideas. He also nurtures leadership of the next generation of recruitment CEO's, being the co-founder of the Recruitment Directors Lunch Club. Outside work Kelly is married with three children and channels some of his boundless energy through Boxing, Muay Thai and MMA. He is justly proud of his journey, stressing, “I came from a tough background but I also believe that true social mobility is possible. It is amazing what can be achieved through hard work, determination and focus. Those gifts are not preserved for an elite; anyone can tap them if they choose." Stirring words from Kelly. He has walked his talk and is a beacon of hope for anyone. Originally published in Recruitment International.